Three-fourths of all maternal deaths are caused by delivery-related complications, such as postpartum hemorrhage, hypertensive disorder, and infection. Sarah Barnes, Program Director of the Maternal Health Initiative at the Wilson Center, tells Sciubba that having a skilled birth attendant is vital to reducing a woman’s chance of dying in childbirth. One of the obstacles to growing and professionalizing midwifery in many societies, however, is the priority given to predominately male doctors over their predominately female midwife colleagues. Listen to the podcast to hear more about how maternal mortality intersects with challenges of gender, race, and class in developed and developing countries alike. 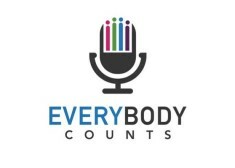 Everybody Counts is a podcast about all the ways population trends shape our world, from immigration, to having babies after 40, to the spread of disease. You can subscribe to the series on iTunes or your podcast player of choice.